Own a piece of paradise with Costa Rica's premier boutique resort Namaste Oasis. As a fractional owner here you'll enjoy long stretches of white sand beach, lush rain forests, green valleys and mountain vistas. The climate in Costa Rica is tropical and warm year-round, making anytime the perfect time to stay in your very own Namaste Oasis fractional villa. 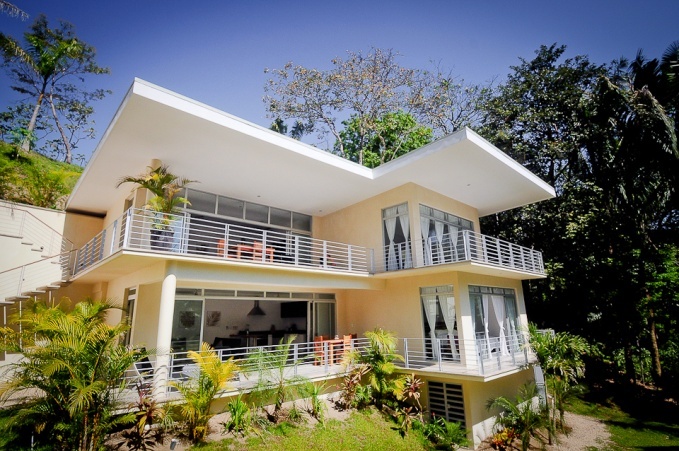 Closeby you will find the popular beach areas of Playa Guiones and Playa Peleda. The first 250 yards of coastline in Nosara are protected from over development, ensuring you a fractional ownership with a small town feel and plenty of open coastal views. Modern tropical condominiums, two units per building. Luxury open indoor-outdoor living space including large terraces off both living room and master suite. Custom finishes and easy-care high end interior design. State-of-the-art “floating bridge” walkways and stair system. Sparkling swimming pool and relaxing deck for all to share. Intricately designed lush landscaping, gardens, and common courtyard. All units are fully deeded as an actual fee simple title, identical to standard legal home ownership in Costa Rica. Buying your own slice of paradise has never been easier than with Premier Timeshare Resale. When you buy a Costa Rica fractional ownership at Namaste Oasis you will have 30 days to enjoy at your second home annually. Additionally, you can take advantage of rental income potential, ownership interest in the property and property value appreciation. Yearly maintenance costs are divided amongst all owners and at Namaste Oasis these are lower then the average 7 day timeshare! So what are you waiting for? Contact us today for more information about this amazing resort!